Being an Alternative High School (serving 12 - 21 year olds) students who came to us did so for a reason. Reasons ranged from not having their needs met at their local school to becoming teen parents to exiting a detention center. Our main goal is to get students in school and working towards a high school diploma with an exit strategy for either continuing their education or entering a living wage occupation. Most students are many years behind their expected grade level content knowledge. While our site struggles with consistent attendance our expectation is to keep students on pace with the curriculum and earning credits. The implementation of hyperdocs as a general unit structure allows students to access the content and assignments from any computer connected to the web. 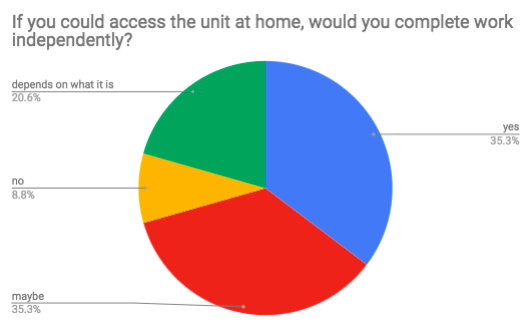 A survey was given to students at the beginning of the Digital Portfolio unit and results can be seen in figures 1 and 2. This student generated has proven to be valuable as we continue to plan, design and problem solve on how to meet the needs of our student population. Transparency is key for our population. 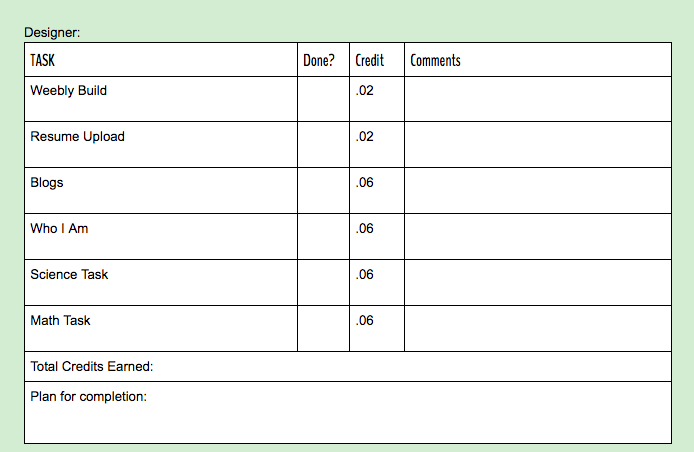 Being a credit-based school, work completed is assigned a credit value which is clearly communicated with students. Consistent feedback during the unit allowed students to gauge what they were having success with and which areas they needed to focus on to continue their growth. Every unit has a student "Road Map" that lays out the tasks needed to complete within the unit. As students complete the tasks, stamps are given. 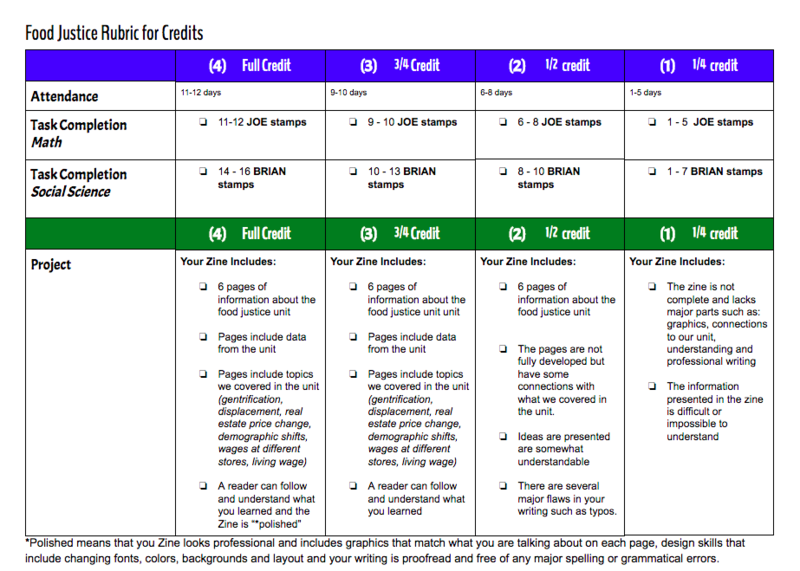 Credit is based upon several factors such as content area stamps, attendance and their unit project. We begin each block class by completing our agenda for the day within the Road Map. Having a tangible document helps with our level of transparency through the learning experience with each student. 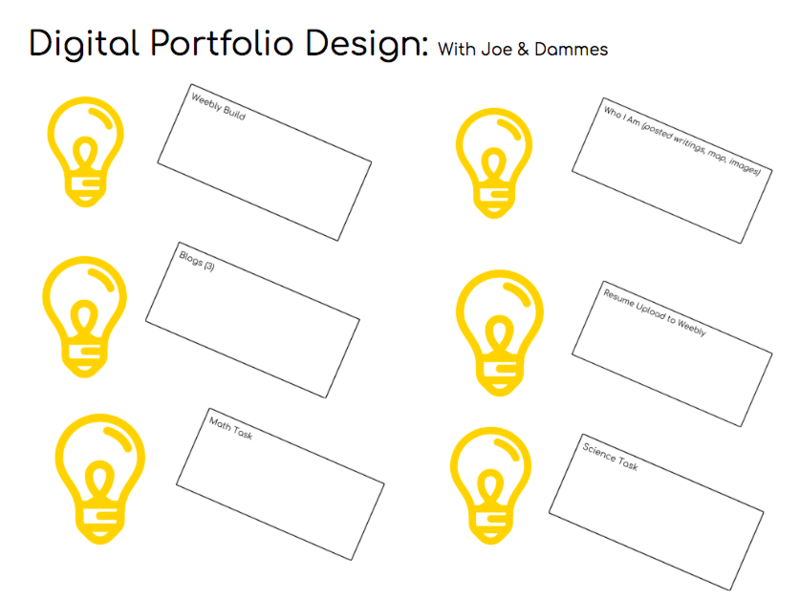 During our last unit, Digital Portfolio, we developed guided 1:1 conference form and checked in with each students briefly after the 2nd week of the 3 week unit. 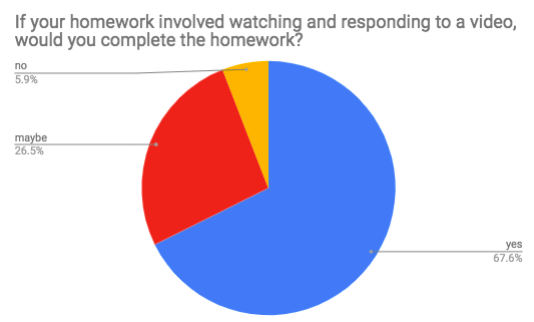 This added another level of communication that we found helped those students who were on the fringe of being able/willing to complete the assigned work. This is a document I will use in the future to guide the students through the learning experience.